Most wonderful Saint, your compassion for the sick and the dying led you to found the Servants of the Sick. 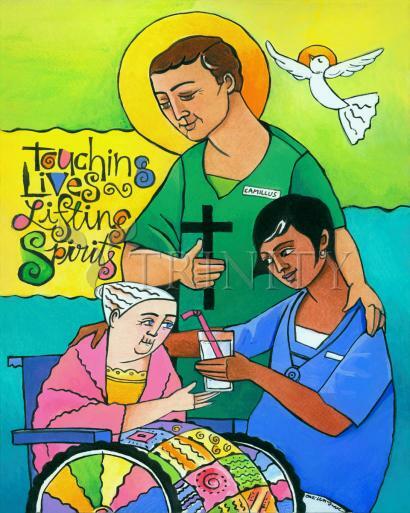 As the Patron of nurses and hospital workers, infuse in them your compassionate spirit. Make hospitals resemble the inn in Christ's Parable to which the Good Samaritan brought the wounded man saying: "Take care of him and I will repay you for it." Amen. His feast day is July 14.